But the problem with Screaming Females—which, technically speaking, is really only a problem for someone like me, right now, frozen in the unenviable task of assigning their new record a sort of meaningless numerical grade—is that they’ve yet to release an album that completely succeeds at capturing what makes their live show so amazing. They’ve scattered evidence throughout their discography that the task of bottling lightning isn’t scientifically impossible, albeit in the form of single songs: the squiggly turbulance of “Boyfriend”; the soaring “Pretty OK”; the best cover of “Cortez the Killer” I have ever heard. And on their last album, Power Move (2009), there was reason to hope they’d finally made it over that hump—that reason being, namely, lead-off track “Bell,” a punk rock modus operandi so economical and complete that it almost rendered ancillary the nine (longer) songs that followed it, which, the longer the record went on, started to seem less like a strength of the stand-out single and more like a trapping of the rest of the album. 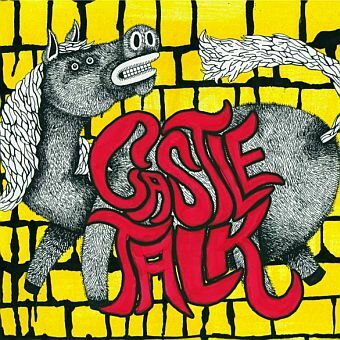 Their latest, Castle Talk, isn’t a staggering improvement on that front. 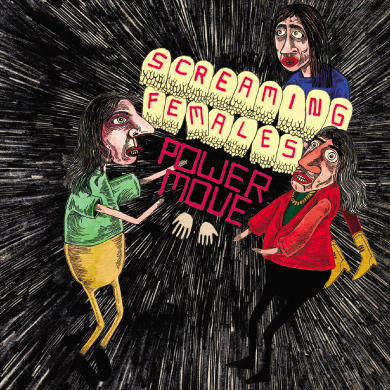 It feels—and, in its middle section even more than on Power Move—not so much a cohesive, self-contained album as a collection of Screaming Females songs that will sound very good live. There are exceptions: “I Don’t Mind It” and “Wild” both have undeniable choruses; “Deluxe”—though sort of interstitial—provides the refreshing contrast of hush. And then there’s “Sheep,” a distortion-drenched pop song that’s at once unassuming and anthemic, which I mean in the way that it could have been an accidental cross-over hit on an imaginary 90s alt rock radio station. In fact, the one thing that sets Castle Talk apart from the rest of the band’s output is that it’s the first of their records on which I hear in the tones of Paternoster’s guitar the faintest shudder of Siamese Dream (1993); one can, in its most inspired moments, almost sense James Iha’s floral dress aflutter in the breeze, kicked up by an ice cream truck. For all the praise that’s (rightly) heaped upon Paternoster’s guitar playing, I don’t know that her voice—forceful in its warble, dipping occasionally into a strange and almost child-like vulnerability—ever gets its proper due. That vulnerability is one element of the band’s sound that’s definitely more apparent on the record than it is live, and there’s plenty there that could (and hopefully will) be mined on future albums. 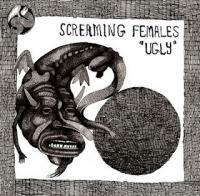 Time will tell if Screaming Females ever become a band to put out a truly great record. But time has already told us that they are, without a doubt, a great live band, and after seeing them in the latter context, you’ll be wondering whether the former judgment even matters that much at all.